Ranma got his hands on powerful new cards to continue his war against Yuga and the rest of his old friends! 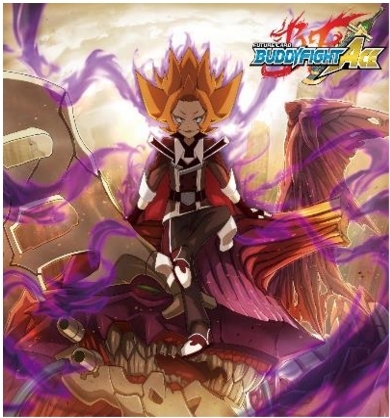 Dimension Dragon, Dragonblood Sect, Bladedancer, and Drametal decks are boosted Future Card Buddyfight Violence Vanity boosters. Power-up your decks along with cards from True Awakening of Deities booster packs! Moreover, you can form an entirely new and powerful deck with cards from this booster alone! 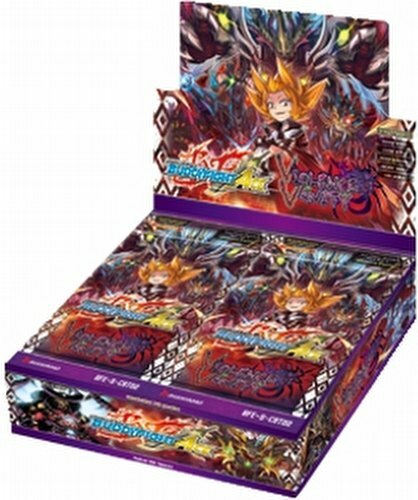 Each booster box is guaranteed to contain one SECRET pack. There are two different SECRET packs available in Ranma & Vanity. Included worlds are Dragon, Magic, Katana, Ancient, Legend, Darkness Dragon, Star Dragon, and Lost. There are 85 different cards in the set - 1 CR, 2 BR, 4 SP, 10 SECRET, 8 RRR, 12 RR, 18 R, and 30 C. Booster boxes include 30 packs. Each pack contains 5 cards, one of which is a rare or better. Parallel foils of commons and rares are randomly inserted in packs.